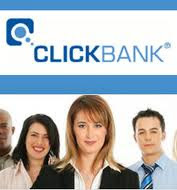 “Clickbank is a great marketplace where digital products and services that pertains to any walks of life such as Computer,health,sport etc are being sold and bought.If you may ask me what digital products are,they are softwares,ebooks and some sort of products and services that you will have instant access to immediately after making payment.Aside buying things on this site,there are lots of money making opportunity on the site by promoting products and services that are of interest to you or that pertains to your hobby and keep making cool cash into your account. Note that you can buy anything on Clickbank even without being a member on the site the more you have what to use in paying them as they currently do accept credit or debit cards though not all cards but they accept all paypal accounts if you have money in it. Got some facts now about clickbank?If yes is your answer,then let’s proceed. in USA but the new preferable way is to send it to UK using some trusted mail forwarding providers but you will learn more about this as you read this post to the end.Ok? You can buy anything from the site from Nigeria especially if you are paying them with paypal as it is also so easy to request for refund using paypal as you will be refunded withing 24hrs unlike if you use credit or debit card.Noted? Now that you seen some infos about this marketplace,I will now go straight to how to legally open and operate a CLICKBANK account in Nigeria and as a Nigerian but don’t be deceived again that you can use USA address from either Graphcard or other site to open clickbank as if you do,you receiving your cheque is story as they will ask for your USA tax ID before they issue you cheque and you cannot provide except if you are living in USA. 2.A valid UK mail forwarding address from https://myukmailbox.com/standard.php for just 5 pounds which is equivalent to $8.12 of PayPal cash as I’m writing this update now. 3.Any UK IP that you are going to use to register for the first time only. 4.A domiciliary account[it is not compulsory you open this account now as you can do that later when your cheque gets to Nigeria] with some banks in Nigeria such as First bank,Guarantee Trust bank and other ones which is the account that you are going to clear your cheque from CLICKBANK into when you receive it Nigeria.Getting a Dom account can be processed while you open and operating your account as they won’t request for it while you are registering on the site but you need it when your cheque comes just as I do clear my cheque sent to me monthly from Google Adsense into my dollar account with GTB. 1.Connect to the internet and configure your browser to UK IP. 2.Confirm your IP and location by typing www.ip2location.com into your browser to confirm that you are on a UK IPand once you confirm it,type into your browser,click on SIGNUP and fill the required information with your real name as it is on your ID card or bank account making use of the UK address that you got https://myukmailbox.com/standard.php but set your cheque payment threshold to like $1,000 or more so that they won’t send your cheque to the address you supplied if at all you haven’t fully sorted out your UK mailing address. After you must have filled and submitted the clickbank form,check your email for their mail and follow the instruction given to you but make sure that you save your Clickbank ID and password. After you must have successfully done all those things required by you,I say a very big congratulation as you’ve dully opened legal clickbank account for yourself and you can now keep promoting products of your interest or hobby on clickbank and keep making money via commission being paid instantly into your account from any IP address be it that of Nigeria or other countries of any part of this world. 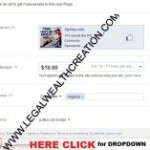 3.You want me to teach you how to create everlasting wealth legally with my secrets and step by step guide of doing Affiliate Marketing the right and profitable way. 3.Your Mobile No. to LEGALWEALTHCREATION@GMAIL.COM or to 0809183386. AN EBOOK WITH STEP BY STEP GUIDE ON HOW TO MAKE COOL MONEY ON CLICKBANK carefully written by a Professor when it comes to Affiliate Marketing especially with CLICKBANK. Sorry about! It might be that you didn’t open the account properly! ! !